Insects are great creatures to view under a stereo dissecting microscope. You will want to start at the lowest magnification and work your way up to a higher magnification. 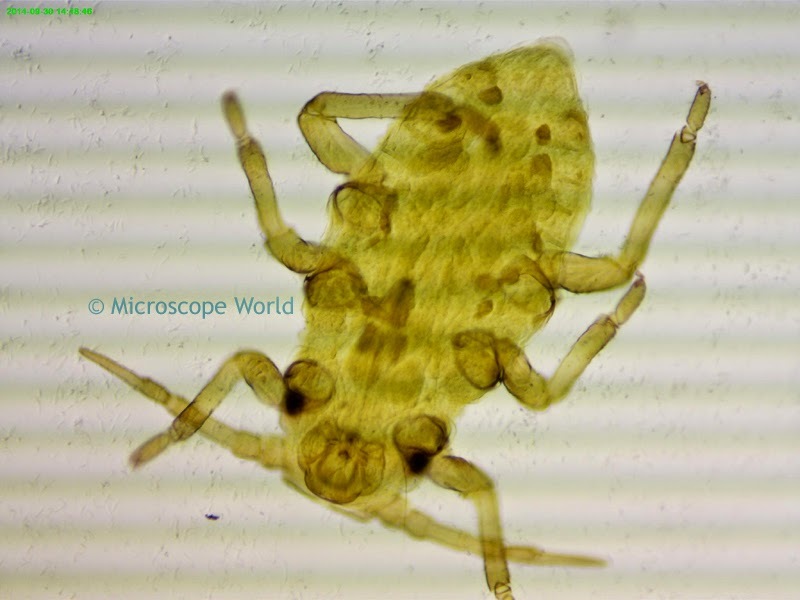 If you have a compound biological microscope, use the lowest setting to view your insect under the microscope. 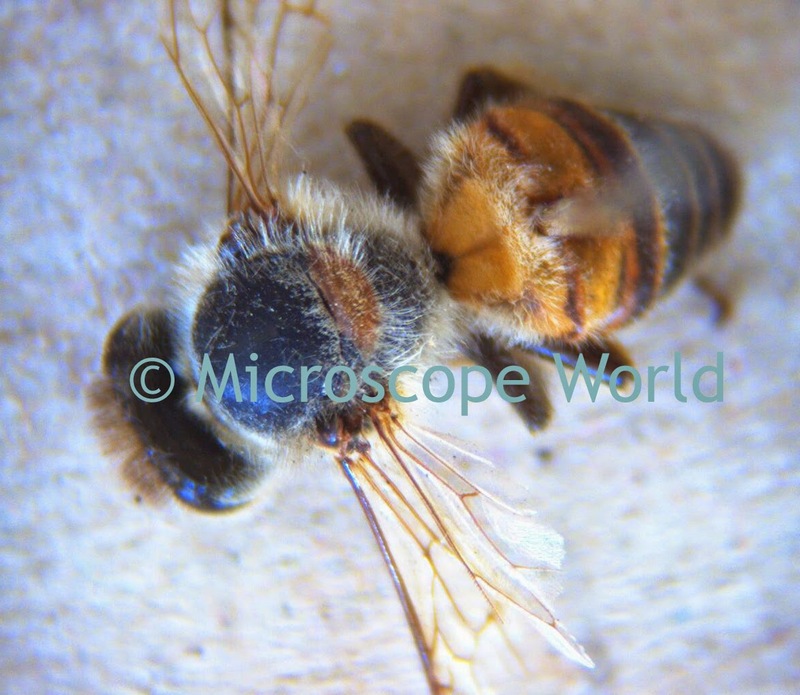 Bee captured under a stereo microscope. Aphid captured under a compound biological high school microscope. The Aphid shown above is part of the Zoology, Entomology and Insects prepared slide kit.